Poor little Hamish has had a tough time, but things are looking up. 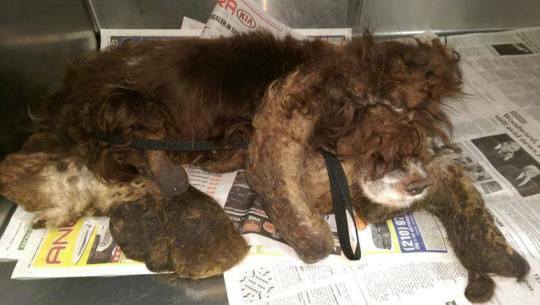 When the cocker spaniel was found in the middle of the road, he was covered in thick, matted fur, so heavy and tangled he struggled to walk. 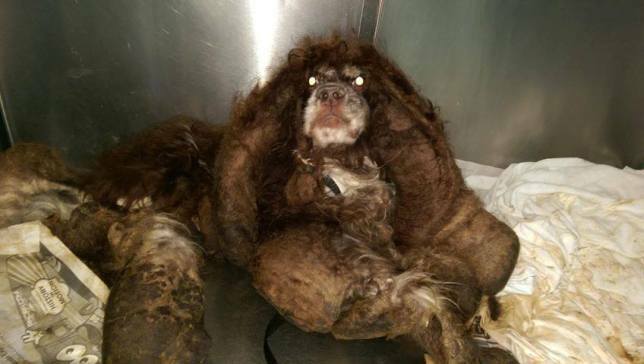 He was so badly neglected that it was difficult for staff at Santonio Animal Care Services to tell what animal he was, let alone his breed or gender. They knew it was vital to clear his body of all that tangled fur. They carefully snipped away the matted hair, eventually removing 6lbs of fur. Underneath all that, Hamish was an underweight cocker spaniel with a load of health issues. 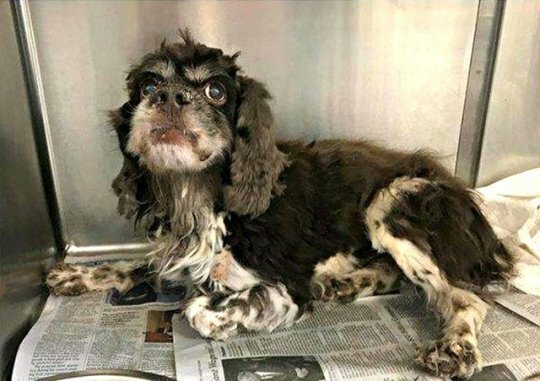 He weighed just 12lbs (just over half of what a healthy dog his age should weigh), was severely malnourished, and because he hadn’t been fed properly his teeth were in dire condition. 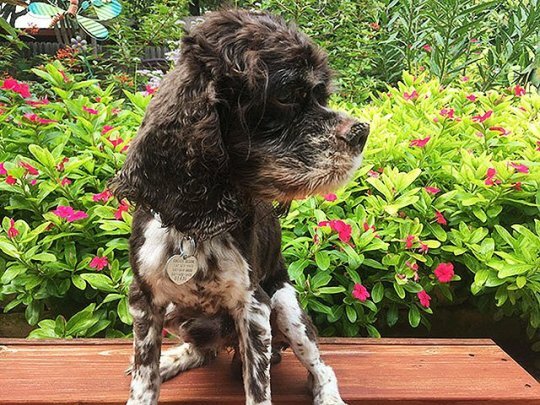 When the shelter posted the dog’s story on social media, little Hamish caught the attention of Cocker Spaniel Rescue, who raced over to get him sorted. The poor pup needed surgery to remove his teeth, leaving him with just 11 chompers (a dog typically has 42 teeth, so this is quite a loss). He desperately needed to eat and put on weight, but his dental situation made things difficult. But with a lot of care and patience, Hamish started to recover. He was put on a diet of soft food and weight gain supplements, and made special jumpers so his emaciated body would stay warm. ‘No doubt about it, his previous humans failed him,’ said the shelter. ‘He still needs a bit of a touch-up, but you can tell how much better he already feels. I could not post on here how I feel. How can anyone put a dog through all this. I have a Cocker Spaniel staying with me at the moment. It was only today she had her hair cut and lovely she looks to. The dog above must have suffered for MONTHS even YEARS.